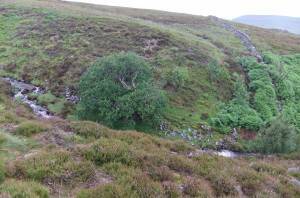 Geology Stream cut ravine through glacial drift. 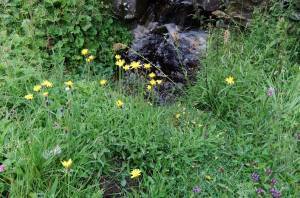 Record Name MUK147.Rash Pastures. Routin Gill. Alders and mixed deciduous woodland to 425m. 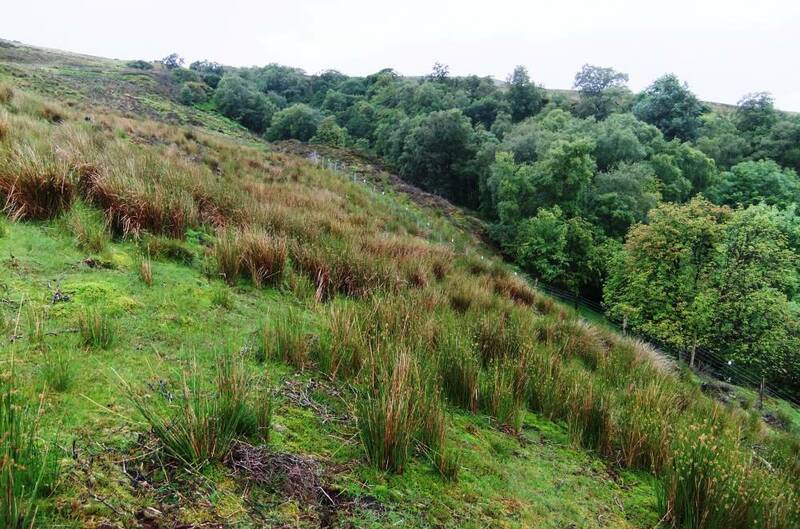 Record Description Site Type D. Mixed deciduous woodland in stream cut ravine with alders reaching 425m AOD at the top of the ravine. 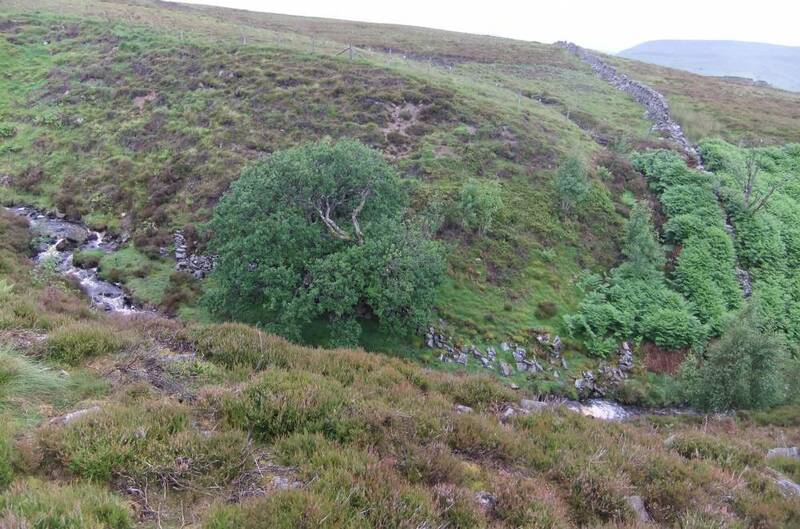 Wych elm not seen, notable in being absent! 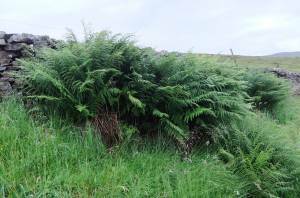 Vegetation not yet recorded. Common / Notable Species Alder. 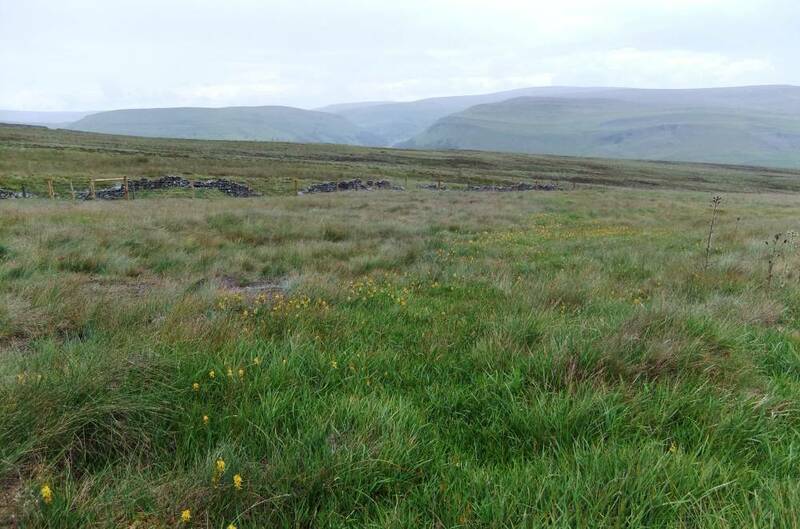 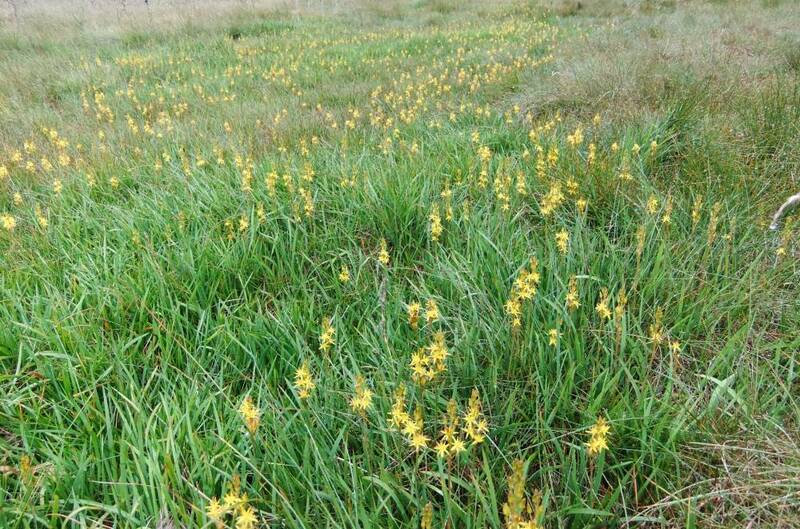 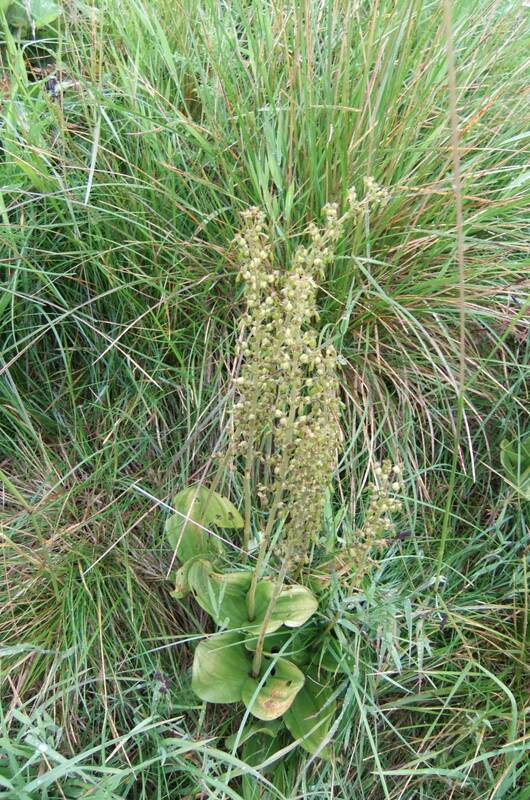 Additional Notes Areas of Bog Asphodel in flower were prominent in the moorland pastures above Routin Gill on 19 July 2011. 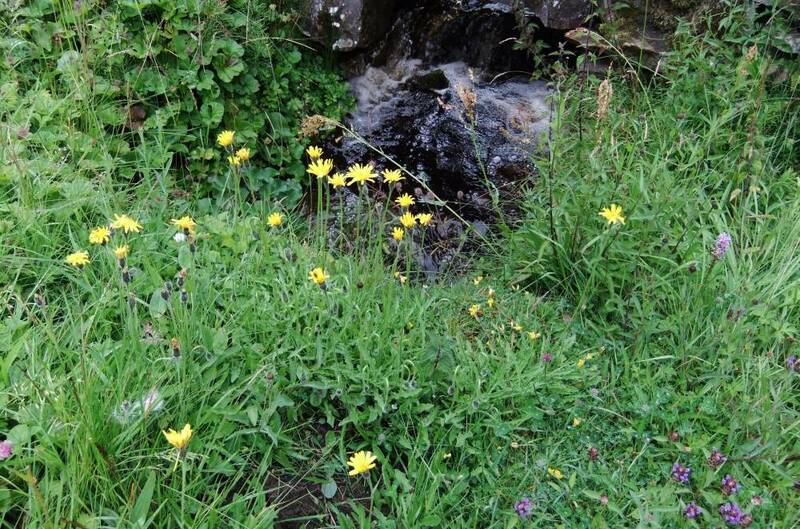 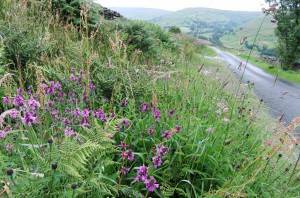 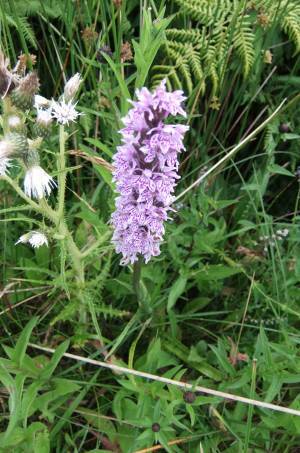 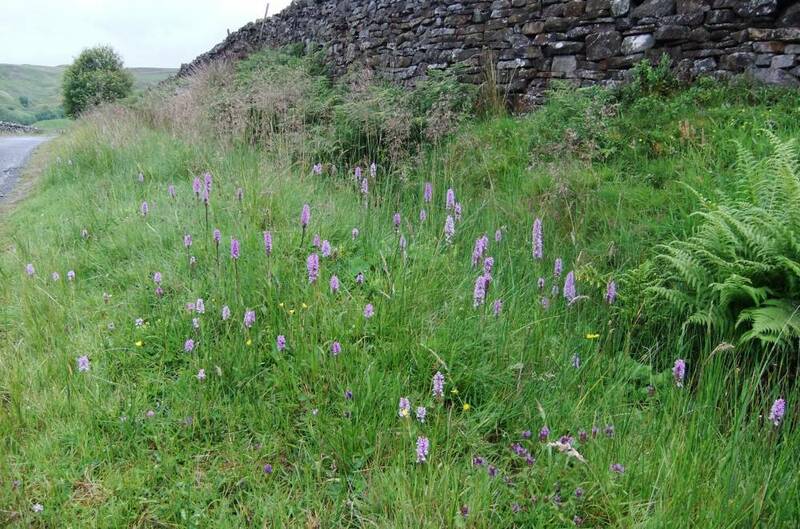 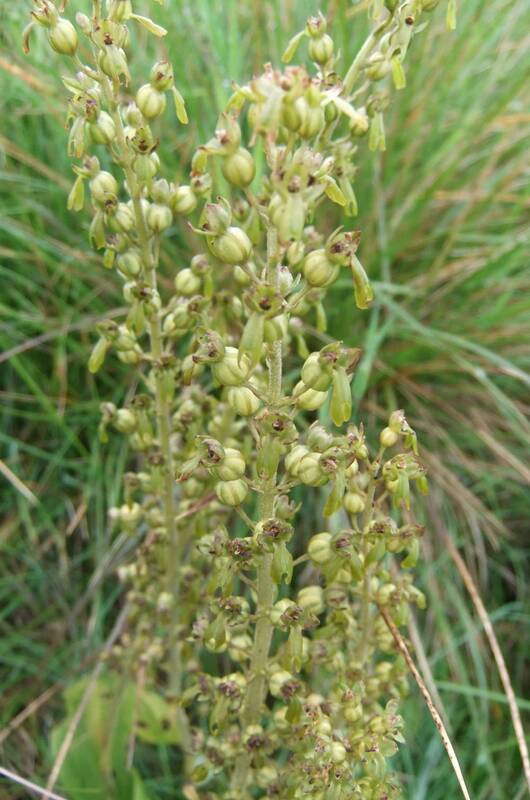 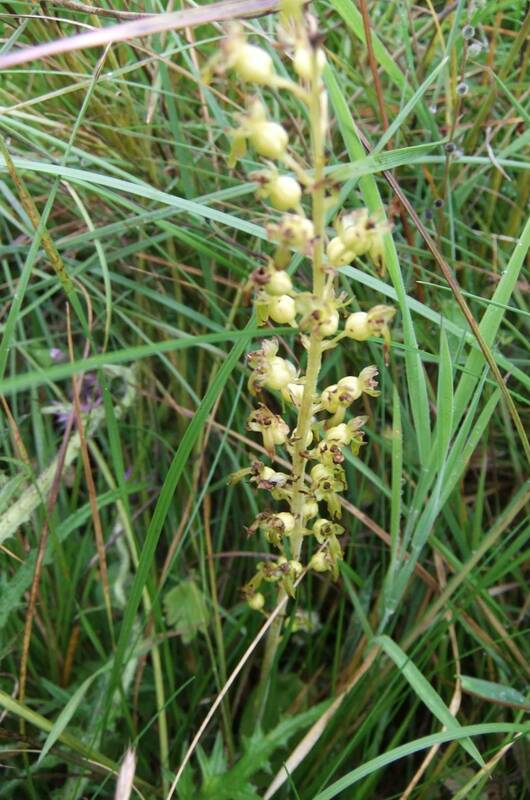 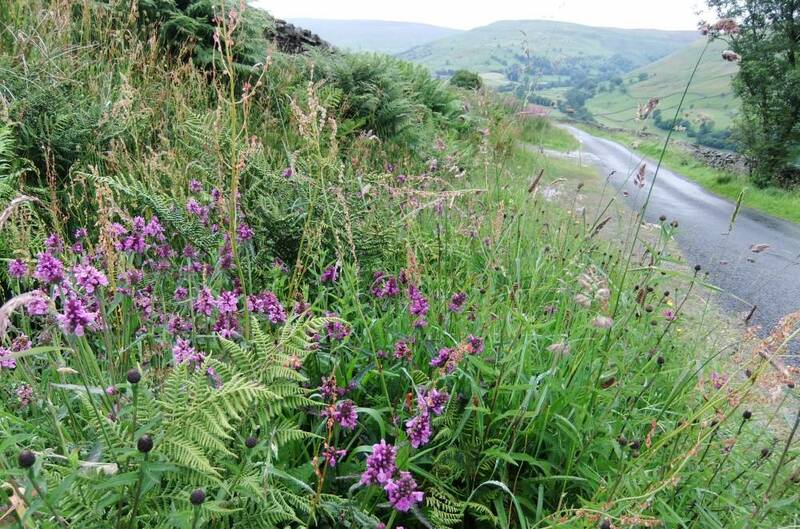 The verges of the road to Buttertubs were rich with orchids at this date, see photos. 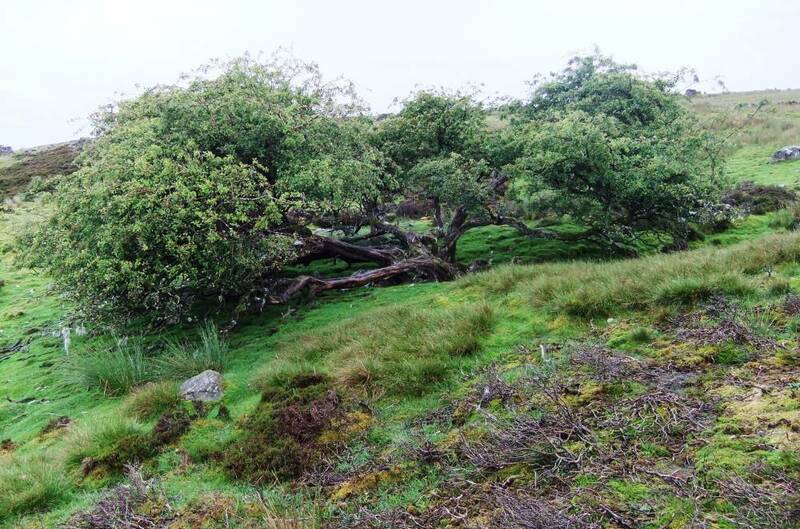 Image 2 Description Alder and rowan at 425m. 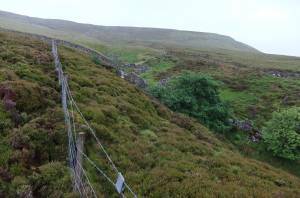 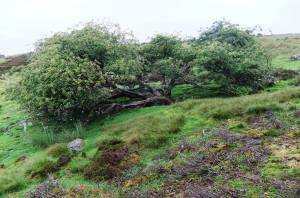 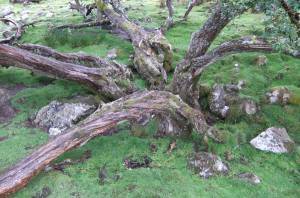 Image 4 Description Isolated ancient hawthorn in pasture above the Gill, sole survivor of woodland more extensive. 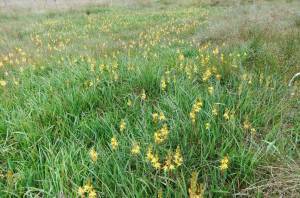 Image 7 Description Bog Asphodel (Ortecium ossifragum) on moorland above the Gill. 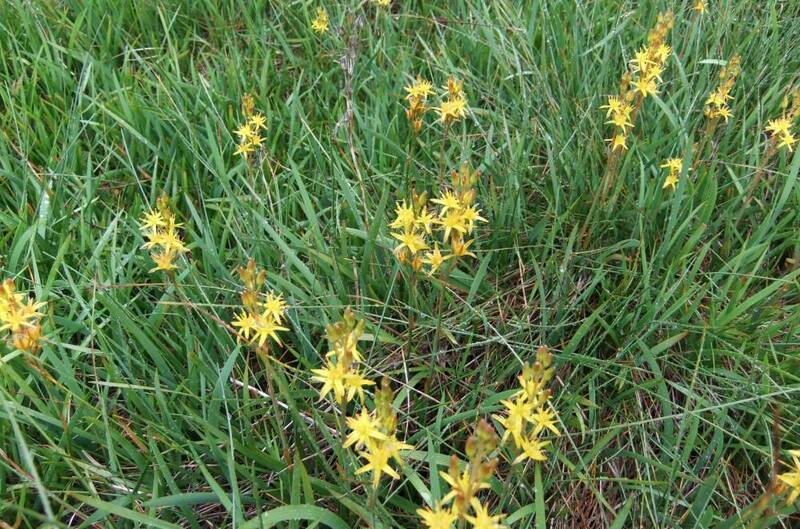 Image 8 Description Bog Asphodel (Ortecium ossifragum) on moorland above the Gill. Image 9 Description Bog Asphodel (Ortecium ossifragum) on moorland above the Gill.